Family. The driving force behind our brand - our family, your family, the people you love and who love you back. At T+M we celebrate modern family in all its beautiful forms; any configuration! 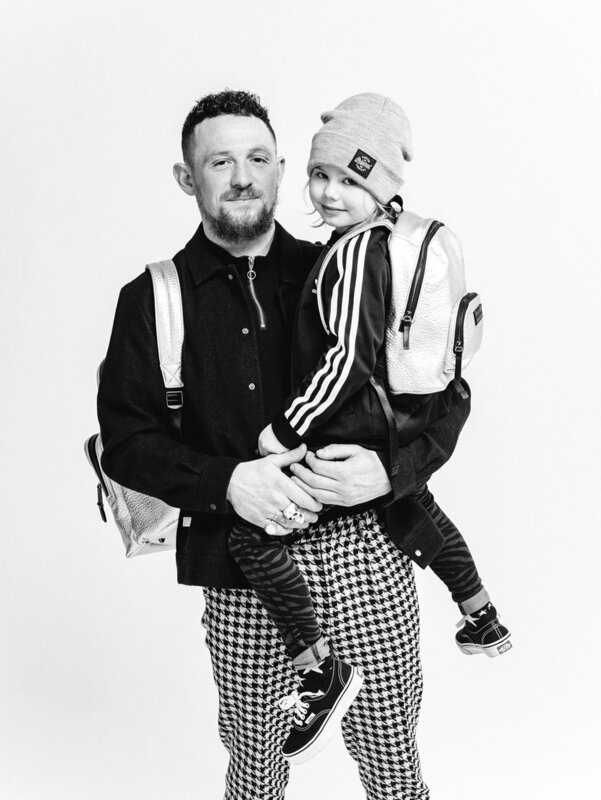 Back in September 2018 we put out a casting call on our social media accounts asking for families to come forward and be part of our 'We are Family' campaign - we had over 100 amazing families emailing us, sending incredible photos that blew our minds and hearts. 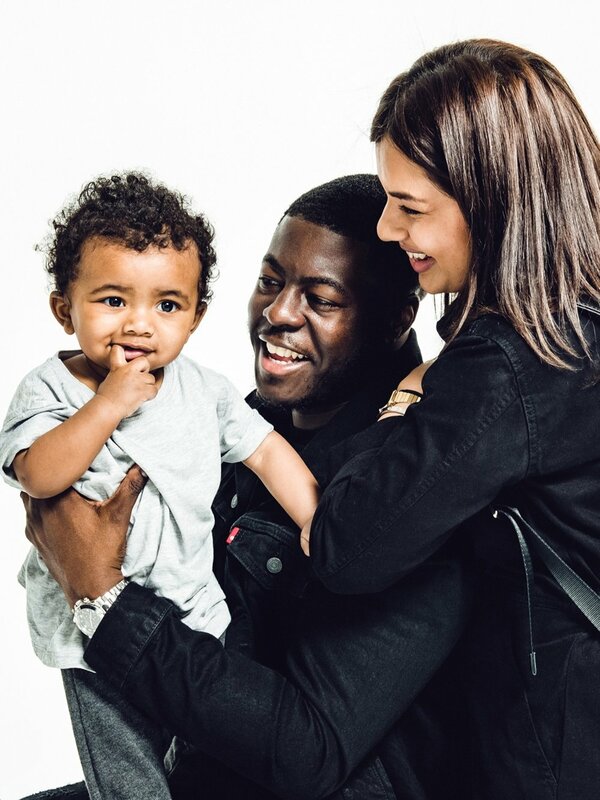 After months of planning we gathered together on a cold January day in a studio near Kings Cross, and shot 10 beautiful families (with a combined brood of 16 babies and kids) and created a film and set of images that for us, captures the vibrancy and uniqueness of modern families. Phoebe - Nanny Agency Manager, Taio - Theatre Director. Parents to Thea, 2. Modern parenting is fast paced, exciting and exhausting! Tiba and Marl is a way to feel like your old on-trend self after becoming a parent whilst being practical. Stylist and Content Creator. Mum to daughter Brooklyn, 5 and Beau, 1. Where Old school meets new school blending the best of both worlds to set strong foundations. It’s about unconditional love, respect, diversity and giving freedom and opportunities to a future generation so they can be whatever they dream to be without limitations. A revolution in baby bags! Who really wants to be carrying around a floral granny bag anyway? Anyone? Accountant. Mum to Isla, 6, Henry, 4 and Charlie, 2. A juggle, entertaining and full of surprises... and of course exhausting! Tiba and Marl is a revelation! Creating a beautiful changing bag which keeps those much needed hands free is genius, and having the option of a bag you would choose pre children is where T+M have really stood out for us! Primary School Teacher. Mum to Theo, 9 months. Modern parenting is tough to navigate, especially being a single mum. I'm constantly wondering if I've plonked him in front of the tv for too long, given him enough homemade meals vs easy snack food, spent enough time doing sensory play or found the balance of work-life and home-life. The list goes on! It's not easy, but I wouldn't change any of it for the world. Tiba + Marl is a godsend! Finding a practical yet stylish changing bag that wasn't flowery was a real challenge until I came across this amazing brand. I was lucky to be gifted one at my baby shower and I won't ever use a different one! I even use it as an everyday bag for myself sometimes. Added bonus is that the founders are total gems. Kim - Office Manager, Jade - Underwriting Manager. Parents to Tate, 13 months. Accepting the fact that your small dictator now runs the ship and realising that everything you once knew, has changed forever. Including how much you could love another person. A badass brand, for badass parents. It's a brand that allows you to parent without looking like a cartoon adorned, colourful extension of your child. The style of their bags are bang on trend allowing Mums to feel like we still have it and not like frumps with eye bags the size of London! Business Owners. Parents to Sybil, 5 and Goldie, 20 months. Modern Parenting is being an every day superhero!!!! Tiba & Marl is allowing parents to have an identity. Sophia - Programme Manager, Ayo - Financial Analyst. Parents to Raheem, 10 months. Modern Parenting is not just telling your children to reach for the stars, but teaching them by reaching for them yourself. Tiba+Marl is a practical accessory that lets us carry all of our parenting and adulting essentials, without compromising on our personal styles. Georgia - Business Director / Co-founder, William - Recording Studio Owner. Parents to Delilah Lilly, 4 months. Being the best possible parent whilst still persuing your dreams and not losing your identity. Creating a happy and positive life for every member of the family, new and old. Our new staple. A baby bag I’m proud to carry around everyday. It allows me to remain me. Stylish & invaluable. Tom - Digital Brand Manager, Daniel - Emotional Support Teaching Assistant. Parents to Kai, 5. Modern parenting is just like regular parenting... Crazy. You think you have it all figured out and then BAM, another curveball. But it is also without a doubt the most rewarding experience you can have. To see them grow, learn, to love… there are no words for how that makes you feel. 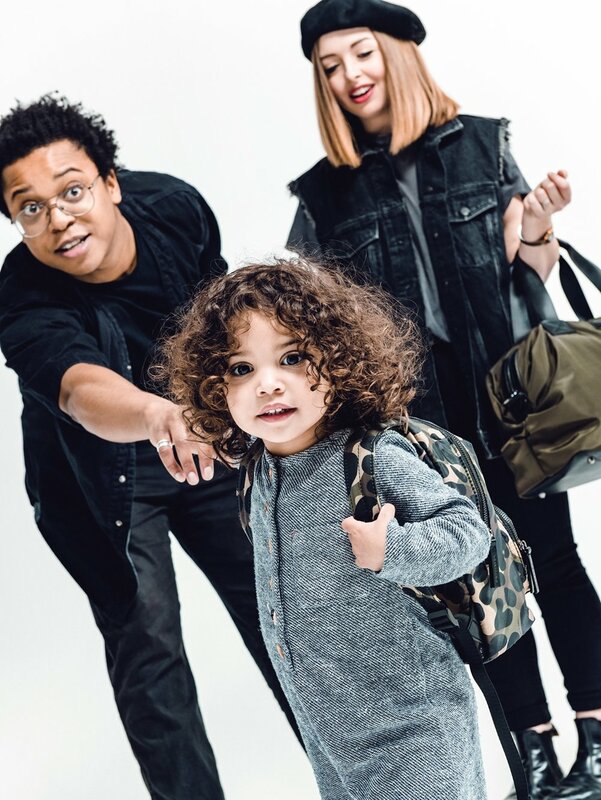 Tiba + Marl is a brand that gets the modern parent. We don’t want to compromise on who we were before yet we’re in this new world of practicality. And they have the bags to allow us to do just that. Keely - Hairdresser, James - Salon Owner. Parents to River, 5, Bodhi, 2 and Winter, 5 months. Knowing we all do it differently, so your way is always the right way!